It is no secret that Strawberry Biscuit by Elea Lutz is one of my favourite fabric ranges and so when she and Kimberley from the Fat Quarter Shop team up to produce this wonderful book - well - pretty amazing sums it up. 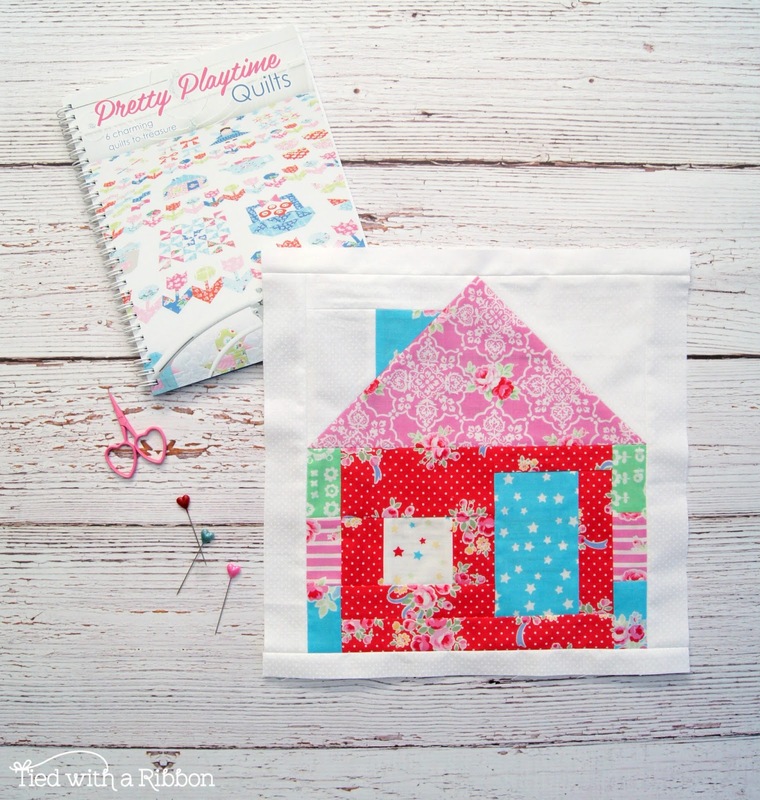 This book features absolutely adorable designs for you to make and sew. 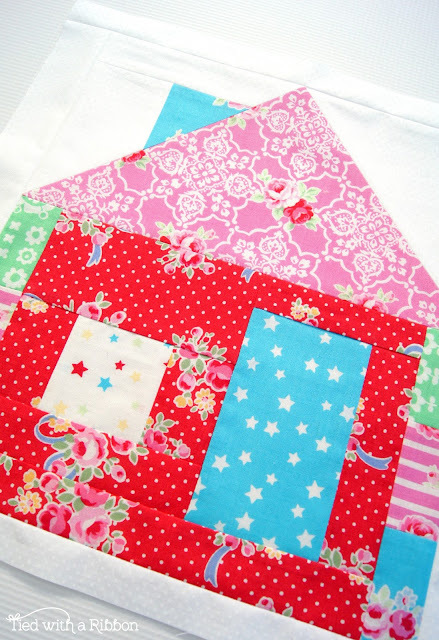 The instructions are really easy to follow to make these designs. 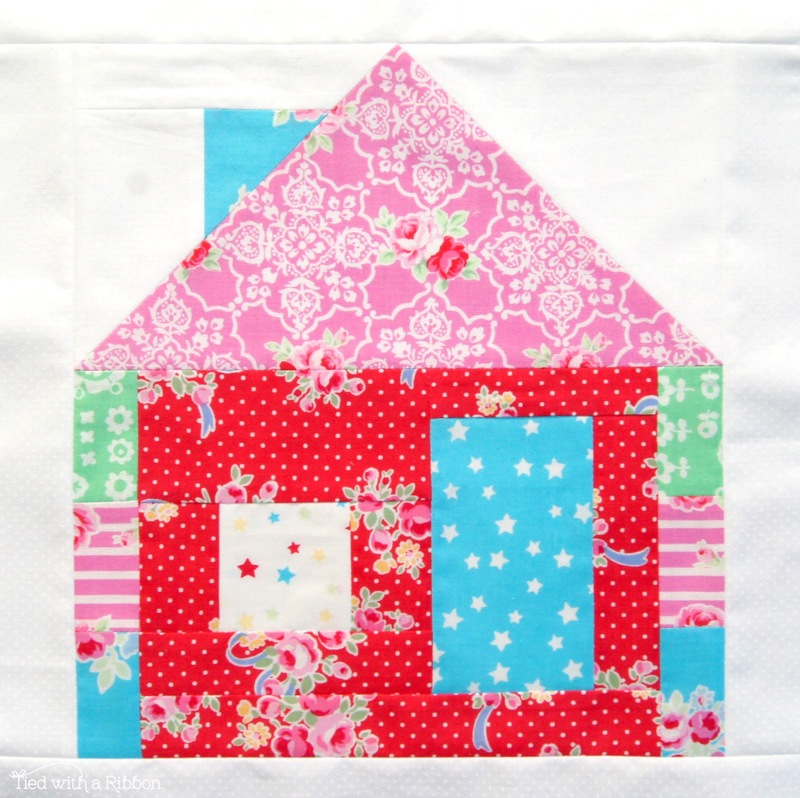 I am here today to share the block I made for the Pretty Playtime Quilts Quilt - Along. I made the Cottage block and with clear instructions it was easy and quick to make. I was ever so lucky to have travelled all the way to Salt Lake City to Quilt Market. 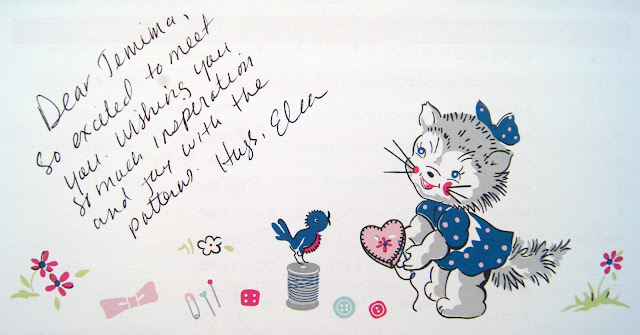 While I was there I was able to get Elea to sign my copy of the book - this I will treasure. 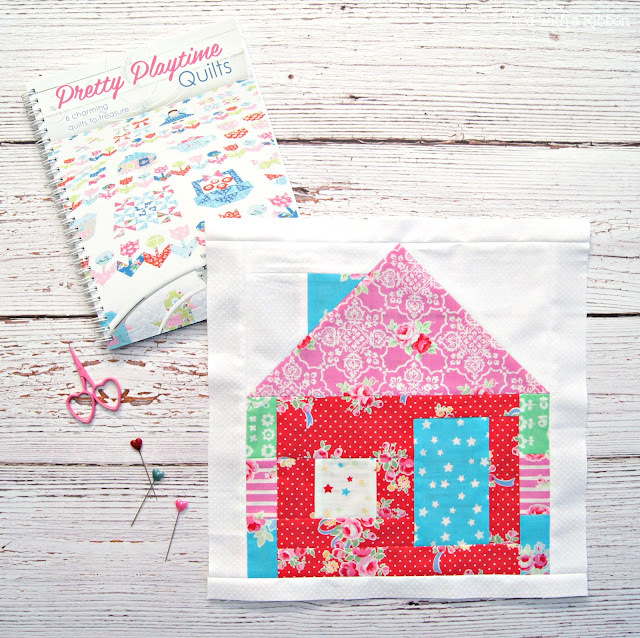 The book is available HERE and I have used the upcoming Flower Sugar Sweet Carnival range by Lecien (due out in October) to make my block with. 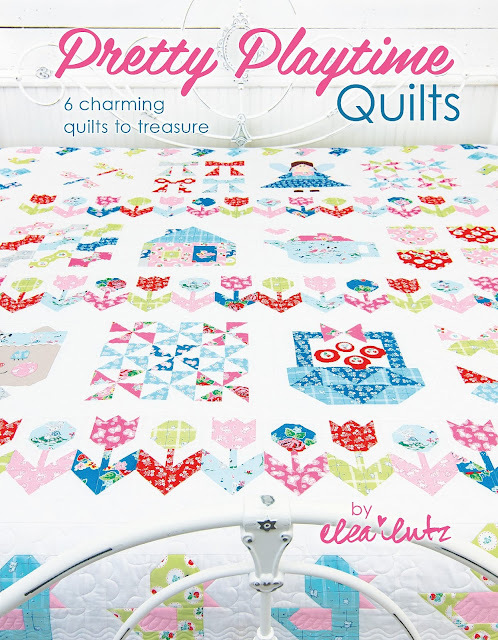 Could i get the pattern of the hexie quilt that they are star shapes?